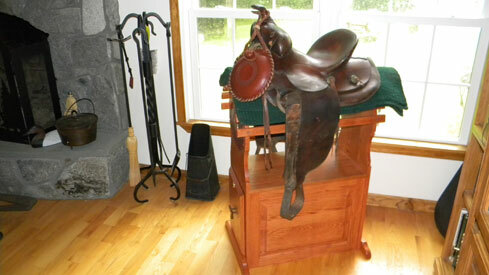 Customer Saddle Stands - Hammered Horse Products, L.L.C. 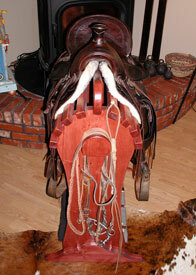 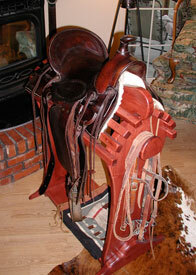 Below are photos of saddle stands sold to customers. 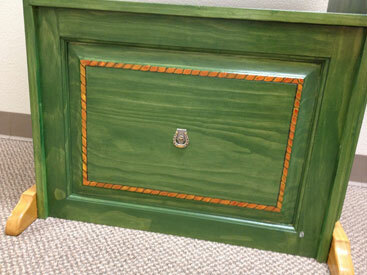 This gives you an idea of how they could look in your home. 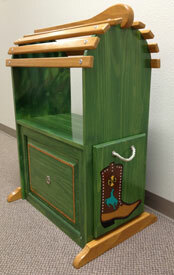 This stand was sold without any finish, the customer finished it in a wonderful green color. 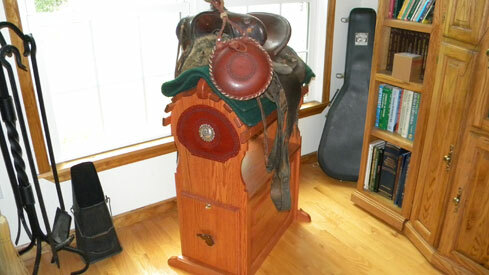 This stand is holding a 30's model Fred Mueller highback.